This EWWW image optimizer is one of the plugin in WordPress that can automatically optimize the images that you have uploaded in your blog. This plugin can be best used in optimizing the images/photos that you have already uploaded, can also convert image automatically into file format and will produce small size images. The EWWW image optimizer can reduce the file sizes of images for WordPress, which includes FIAGallery, GRAND and NextGEN and other lossless methods and format conversion of image. This optimizer is best in optimizing JPG with integration of TinyJPG but it requires API subscription. This can be used on optipng, pngquant and pngout in conjunction. This plugin is so fast that you don’t have to wait for a third party service to process, receive and return images and can run on your own server. The optimization of even hundreds of images can be done for a few minutes; you can adjust settings if you encounter long process for PNG files. It has a fast loading of pages, smaller image size means fast page load. This kind of performance of this plugin can make the visitor happy and satisfy. During image optimizing you can save a hundreds of KB per image, which will help you to have a less use of bandwidth. It is available for Pre-compiled binaries to install directly to the WordPress folder and the optimization of cloud is provided to those who cannot run locally of the binaries. 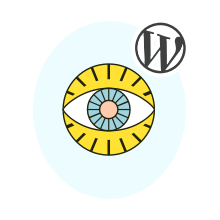 Any kind of images can be optimized in WordPress, and the ability of your folder for scanning can be specified with the wp_image_editor class extension. Images uploaded are automatically optimize and can see the status of the optimization, re-optimization and bulk optimization option under the store menu or galleries. Can optimize all images in Media Library and can scan and optimize for everything. The features Optimization on bulk optimizing, re-optimization and upload capability. Optimize Upload capability, bulk optimizing and re-optimization. Function of bulk optimize can found near the bottom of FIAGallery menu that will optimize all images. This can be run on hourly basis via wp_cron to help you keep the optimized newly uploaded images. All images that has been optimize are installed in the database and the plugin do not attempt to re-optimize. You can also remove individual images using this tool. All features of Word EWWW Image Optimizer are all free except EWWW Image cloud optimizer.